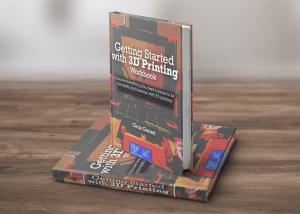 In part 1 How to choose the right 3D printer for you I listed some questions that you need to consider before deciding which printer to purchase. Let’s go deeper into a couple of the priority decisions so you can narrow down the vast field of 3D printer choices and find your perfect match. I am NOT saying other considerations are not important, but by answering these three questions we can eliminate a lot of the options that are not relevant to your situation, and that will help your decision greatly. First up is a big one. Usually people either have a good idea of their budget range, or they have no idea how much money they need. If you think about this question it will immediately give you a good idea of where to look and what kind of compromises you are going to need to make. Yes, you will need to make compromises. If you take a look at the printers I own or use, you will see they all have compromises. Even the super expensive industrial grade printers. That’s not to say the compromises will be bad, or that the printers are bad, just it’s like any large purchase, there is what would be perfect, what actually exists, and what you can afford! So how much money do you have to spend on a consumer level printer? There are several broad price points, and in many cases you do get more features or better quality by spending a bit more, but it is not at all clear cut. eBay/Craigslist/classifieds – You can get a sub-$500 second hand bargain just because a lot of people leave the hobby as soon as they start because, like gym equipment, they quickly realize it involves effort. Aliexpress/eBay new – Bargains in the sub-$500 range do exist in the new category also, but it is a gamble. Personally, the only way I am going to get one of these is if like any gamble, I can afford to kiss the money goodbye AND I get a strong recommendation. There are many scams, and they are often difficult to spot until it is too late. A famous “cheap 3d printer” scam on Aliexpress hinged on getting you to use your dispute to get a discount (usually on shipping). Once you have used your dispute, of course, you are out of luck when they take your money but don’t deliver the goods. If it seems too good to be true, it usually is. 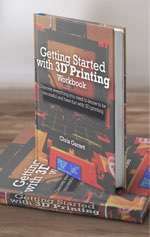 Crowdsourced – My first printer came out of crowdsourcing and I regret it. 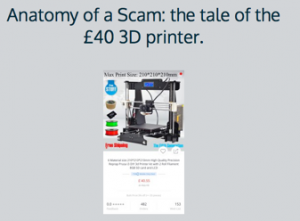 I’ve not heard many positive stories about crowdsourced (Kickstarter, Indigogo, etc) 3d printers. That said, Printrbot (my second printer) came from a successful Kickstarter and against all odds that was a resounding win. I have also had good luck with other stuff I have acquired through that route, so who knows. The problem with crowdsourced hardware is the knowledge and skills that are required to invent something are very different from the skills required to manufacture, deliver, and support a hardware product, and again are different from what it takes to run a business. 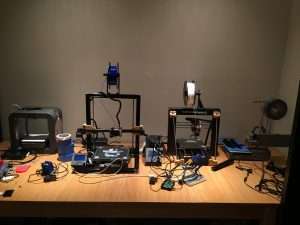 Self-Sourced/custom – Some people manage to save money by sourcing their own parts and following a RepRap design or a build of their own invention. There is no guarantee that the end result would be any cheaper, because the kit suppliers have economy of scale on their side, plus you have the comfort of knowing they will have the correct parts for the design. It does mean though you can select the exact pieces that fit your goal, best of breed or compromises as makes sense for what you want. This also means you can continually make the printer better but at the same time more expensive! Budget and Entry-Level printers – Now we get into more reliable and mainstream territory. There are two broad categories here (though there are exceptions), and those are kits and entry-level printers. The main compromise with a kit, naturally, is you have to add your own time in the build rather than pay someone to build it for you. With the entry-level printers you sacrifice some capacity or feature to reduce the cost. Kits can be found at all price points but are especially attractive below $500. The metal framed Folgertech kits are popular on forums and in social media, for example. They have an aluminium (2020 extrusion) framed Prusa with a 8″x8″ bed and a delta for not much more. I have no experience of these printers, but at the price those are good starter printers if all the parts arrive and you can follow the instructions. If you don’t mind paying a bit more or losing out on some capability then you can get an assembled printer without the risk and stress of assembly. I have two recommendations here. First would be to check out the Wanhao Duplicator i3 (in the US check out Uncle Chucks horrible 1990s style website, in Canada DigitMakers or Spool3D, and in the UK and Europe, WanhaoUK). 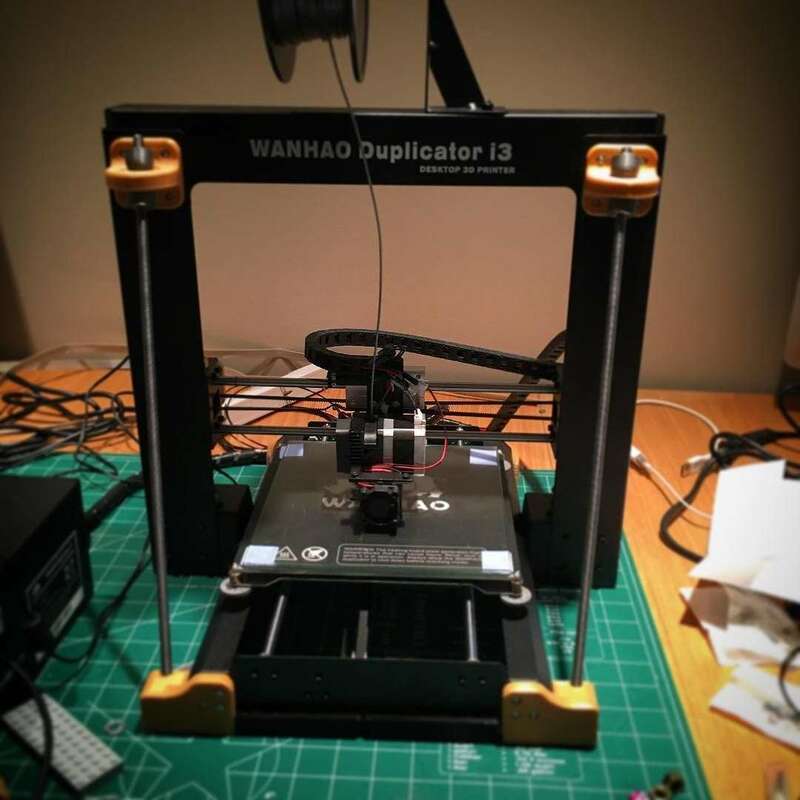 The Wanhao Di3 is excellent value for money at $400 or thereabouts US dollars. Out of the box it is great, and with some cheap and easy mods it is excellent. I also highly recommend Printrbot, super high quality printers and excellent customer service. The Play is sub-$500 with a small build area, the Simple Metal is $200 or more extra, but has a slightly bigger build area but still smaller than the Di3. 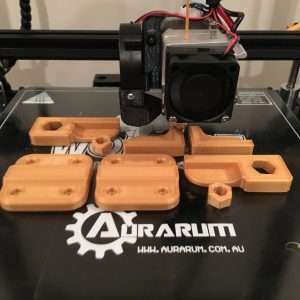 The Original Prusa i3 Mk2 bridges the gap between budget and prosumer, and I would highly recommend you check it out as it is excellent value for money, and has great customer service. Prosumer or large capacity consumer 3d printers – This is where the sky is the limit. You are talking $600+, starting with unknowns, moving up to branded printers and $1000+ for commercial-oriented brands. In fact really for the well known brands you are going to start getting into multiple thousands very easily. Here Printrbot at $1,100 for the Plus would be considered budget for their 10″x10″ build area. I considered this as an option while buying my Wombot. Still not sure if I made the right decision. The highly thought of Lulzbot Taz is double the price. An Ultimaker will cost you even more than that but get you a smaller build capacity. If you do want massive print capability then check out the gMax series with, get this, 16″x16″ bed! Joel loves his printers as you can tell from his videos. Personally, I went for the 300mm x 300mm Creality CR-10, and I couldn’t be happier! If you read the previous section you will see there is a choice to be made of how much capacity you think you will need. Unless you go for an absolutely huge build area, such as the gMax 16″x16″ bed, you will not be able to print an adult size stormtrooper helmet in one go. This means most 3d printer users get used to printing either smaller items or printing in parts. I was quite happy printing on a 6″x6″ bed for quite a while (both the Cube3 and the Printrbot Simple Metal have that size bed). I did eventually upgrade the Printrbot X and Z to give more capacity until I decided I wanted to make a BB8 robot. The minimum build area to efficiently make one of those bad boys is 200mm x 200mm (~8″). I ordered the Wombot XL, and when that arrived broken, I bought my Wanhao. 8″-10″ (200-250mm) is a good size, but size isn’t everything as they say. The more you cram into one marathon print session the more upset you tend to be when it fails! This is part of the reason why instead of getting one massive printer I have more than one printer running simultaneously. For the price of a Wombot XL you can have two Wanhao Di3. Worth thinking about. How hands-on do you wish to be? My first two 3d printers were kits and I am grateful for the experience, even though it wasn’t what I would call enjoyable. When you are spending several hundred dollars on something, there is a comfort to knowing it is going to work rather than clumsily breaking something. 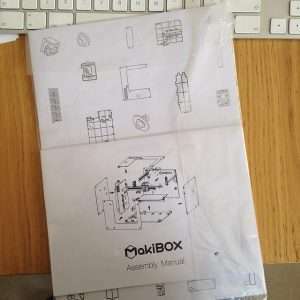 My friend Ben helped me with the Makibox assembly and we ended up cracking the acrylic frame. The printrbot assembly I took more time over (and later did the upgrades very slowly and methodically). This means I know how it goes together and am more able to diagnose mechanical problems. My most recent kit assembly, the Prusa Mk2, is detailed here. I followed both the excellent online instructions, and also Tom’s video. That came together well. The Wombot was sold assembled but as I have mentioned in a couple of places, it arrived broken and I had to spend a couple of months on and off repairing it. I also tweaked the firmware (the software on the brains of the printer that tells it how to interpret the print instructions you give it). This means I was forced to intimately know how it all goes together. As a hobbyist who enjoys the nerdier aspects, and enjoys helping people with their own problems in the discussion groups, this has come in extremely handy. So why did I buy the Wombot preassembled, and why did I purchase the “it just works” Cube3? The answer is sometimes you just want to hit print. I got into 3d printing wanting to print things rather than tinker (though I do like a good tinker). If you want to work with a 3d printer rather than on a 3d printer then buy assembled. If you are buying for yourself or someone else who is not going to be able to diagnose and rectify issues, then get something that is going to work right out of the box. Every printer requires troubleshooting and maintenance, however. Don’t expect a 3d printer to always be trouble-free. My most “set it and forget it” printer is the Cube3. The entire ecosystem is designed that way, but that comes with it’s own restrictions and limitations. My Wanhao needs bed levelling occasionally but the thumb wheels I printed helps with that. The Printrbot is a tank, it just keeps going with barely any maintenance at all now it is dialled in. The Wombot became more easy to use, strangely, when I stopped using the sensor and levelled the bed manually. Assembling a printer is a good education if you have the time, and you are trading that time for cost savings very often, but it does come with headaches and the risk of getting it wrong, even if the instructions are good and in your own language, which is not always the case. Part of being hands on is getting help when you need it. If you go the kit route or go for a printer that is meant to be less self-maintained, then make sure you get excellent customer support and documentation. Failing that, ensure there is a fantastic user community that you can get help from. Choosing a 3d printer is not always an easy decision. There are a bewildering array of options out there, and every printer owner has their own favourite brand or model. The biggest decision you are going to make when selecting the right 3d printer for you is how much money you want to spend, which then forces you to decide if you want to buy a kit that you assemble yourself, and how big a printer bed you need. Once you have decided your answers to these questions, you need to consider which 3D printers fit your own situation (beginner? budget? prosumer? ), so we will look at those in the next part. Make sure you sign up below to be notified of updates, and get access to more goodies! « Wifi-Enabled Raspberry Pi 3 coming soon?